At the North American International Auto Show Chrysler displayed an fully electric version of the Fiat 500 called the 500 BEV . 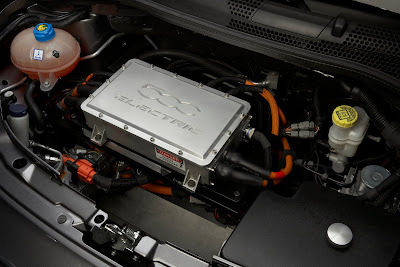 The 500 BEV (Battery Electric Vehicle)is powered by an electric motor and a battery that can be charged using a common household plug. It does not have a gas engine. Under all conditions, it drives using electricity. The 500 BEV can travel up to 200 miles between charges. (beating the Nissan Leaf, also displayed at the Detroit Show). 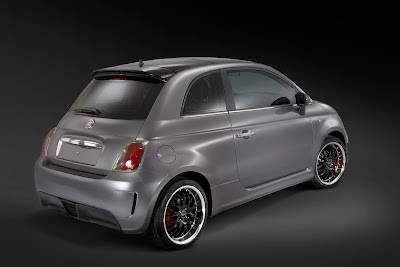 The 500 BEV uses the interior and body kit from the 500 Abarth, with the rear valance treatment particularly interesting to an Abarth connoisseur. 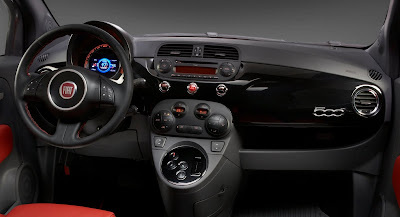 Transmission control similar to the MTA trans used in the 695 Abarth "Tributo Ferrari"
Hey, where are the tailpipes? 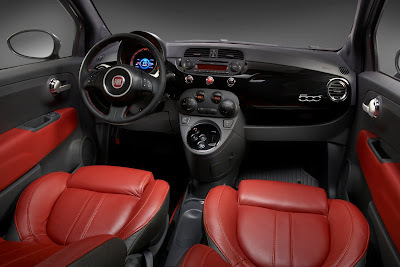 The above is the powertrain of the Fiat 500 Hybrid that Fiat has been developing in Italy. Fiat has been working a new hybrid power system that will power the new Fiat Topolino super mini and the 500 for a while now. I reported on this last April here. The technology works with the 900cc twin turbo SGE (Small Gasoline Engine) gas engine coupled to a new Dual Clutch automatic transmission that has an integral electric motor with next generation lithium-ion battery technology. It is a light, compact system that fits well with cars of reduced size. 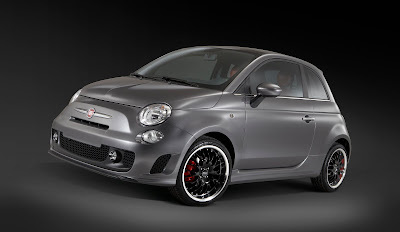 The 500 BEV is a very preliminary concept, but the above Fiat Hybrid is much further developed. I would think the Fiat Hybrid system would make its appearance before we see the electric only BEV. We'll have to keep an eye on these technologies as time goes on. Nice blog you got right here. I definitely enjoyed your posts.I'm sure I'd visit here often. Anyway, feel free to drop by my site as weel. It's about wholesale car wax. See yah! Why can't we have the diesel?